Wembley Stadium was the impressive backdrop for the recent LG renewable heating event that saw the announcement and introduction of the new Therma V R32 Monobloc air to water heat pump range – the first full range of R32 Monobloc heat pumps available. In addition, LG announced its new partnership with Pacifica Group to provide the new 0800 Repair service available nationwide for LG equipment operators and owners and warmed the attendees of the launch to the prospect of the soon to arrive Metering and Monitoring Service Package – the MMSP – a new tool for servicing and diagnostic procedures for installers developed with Regin. The MMSP will help to grow interest in installing heat pumps in the UK with a financial incentive to do so alongside the RHI payments from the Government for generating renewable energy, and provide solid, meaningful information for Government that will enable it to back the installation of heat pumps across the country. 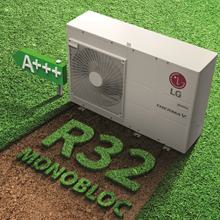 LG has developed a high quality air to water heat pump range over many years under its Therma V branding. Thousands of these units have been installed up and down the country. The latest introduction to its popular range, operating on the low GWP R32 refrigerant available in 5kW to 16kW 1Ø and 12kW to 16kW 3Ø, in a wide operating range of between 10-135Hz and water temperatures up to 65°C without an electric backup heater, is the LG Therma V R32 Monobloc range. It comes with an energy label rating of A+++ (ready for September 2019 erp changes). The new version of the Therma V Monobloc contains a plate heat exchanger, expansion tank and a Grundfos water pump. The new units have a higher capacity due to the choice of refrigerant. The electric heater can be installed as an optional accessory as this is not always required. The latest units have a 5 to 6dB lower sound power level than previous models and incorporate a number of additional new features including a new revolutionary scroll compressor, designed and manufactured by LG Electronics with ‘wet vapour’ injection. The unit has excellent performance at low ambient temperatures – 100% at -7°C. LG units offer quicker response times for the provision of heating and cooling, by sensing not only the temperature but also pressure – a pressure control sensor provides a faster and more accurate response, reducing the time delay for implementing heating or cooling commands significantly. The addition of pressure control enables the Therma V R32 Monobloc to take less time to reach the desired temperatures, with up to 30% quicker response in cooling and 44% quicker response in heating, with a high level of accuracy and stability built in. The new offering from LG comes with a revolutionary new scroll compressor combining high efficiency and low noise characteristics of the scroll compressor with the stable compressing structure of a rotary compressor in one unit. The new compressor incorporates new technology developed by LG including wet vapour injection. This is to control the high discharge temperature of the compressor efficiently, bringing it down from 160°C to below 110°C, resulting in an expanded heating operation range and enhancing the unit’s performance at low ambient temperatures. The Therma V R32 monobloc series also incorporates LG’s Ocean Black Fin epoxy resin coating on its heat exchangers, designed to perform well in corrosive environments, giving longer lifespan and lower operational costs for the units, contributing to reliability of the overall system. LG equipment has always benefitted from exceptional controllers. The new series comes with an intuitive controller, with a 4.3” coloured LCD display which is perfect for installers and end users alike. For example, for the installer, the controller has various functions for data logging, including operational history, error reports as well as operation status, amongst many others. In addition to the introduction of the impressive new R32 product LG took advantage of the launch to introduce its new 0800 Repair service, through its partnership with nationwide company Pacifica Group. LG is also stepping up its training provision with additional training courses for installers via GRE Energy Training in Chesterfield. In addition to the comprehensive training available at its headquarters in Weybridge, LG can now offer an additional two free one day courses a month. This is a new option and so far 60 engineers have benefitted from training in Chesterfield receiving theoretical and hands on training working on LG equipment that is permanently installed at the centre. Finally, LG announced the impending release of its MMSP – its Metering and Monitoring Service Package - developed in conjunction with Regin. 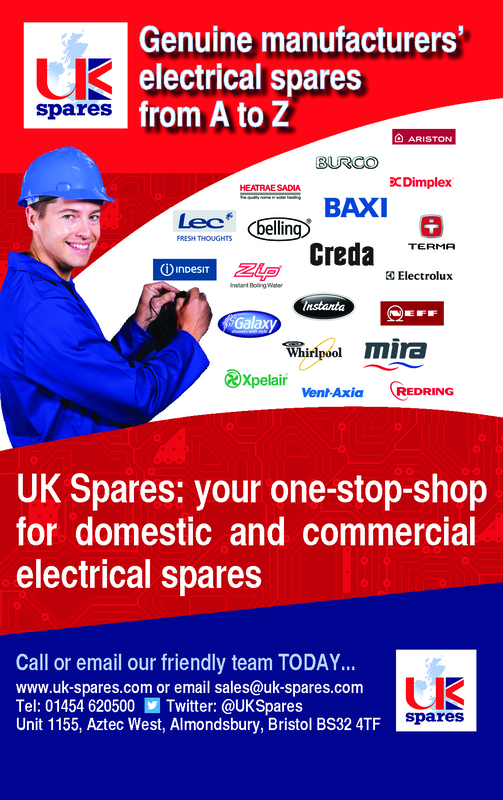 It’s a tool for servicing and diagnostic procedures for installers. It will run alongside the RHI scheme with an immediate incentive of £805 and a further £115 a year payable alongside the remaining RHI or up to seven years of a heat pump’s installation. The MMSP will provide huge amounts of supporting information relating to energy generated and consumed, all COP information to provide a constant stream of supporting information to back the drive to install more air source heat pumps in the UK and gain Government support for doing so.